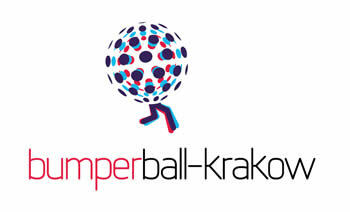 Home » BumperBall Krakow » What’s the fuss about Zorb Ball? 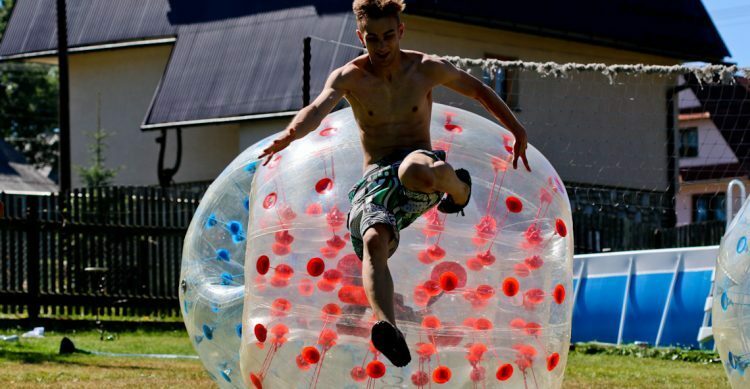 Bubble football holds the same rules as a typical 5-a-side game, however with a little twist: every player is immersed in a large inflatable ball. This sport was first created in Norway by Henrik Elvestad and Johan Golden when it was shown on their TV programme, Golden Goal. It has been recently gaining popularity over Europe but also United States where it was brought to by British entrepreneur Lee Moseley. What people like about this alternative sport is that is super safe while providing endless unrestrained joy and fun making it one of the most enjoyable ways to spend an afternoon with your mates. 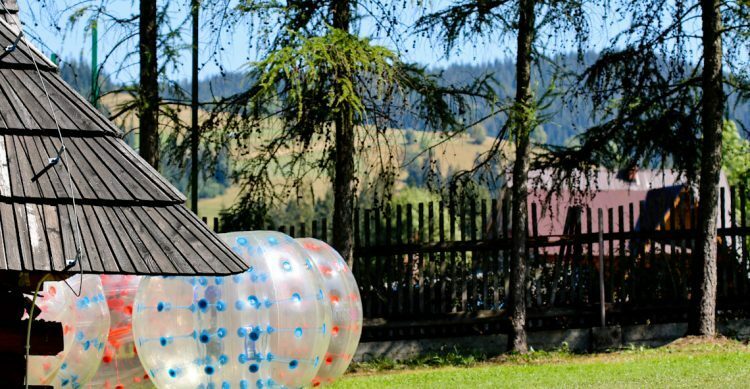 These large inflatable zorb-like suits players have to pull over their heads before going on to the pitch provide a bouncy cushion around the player, meaning they are protected from any knocks and scrapes during harsh challenges. It’s like playing football while wrapped in, a giant inflatable suit. 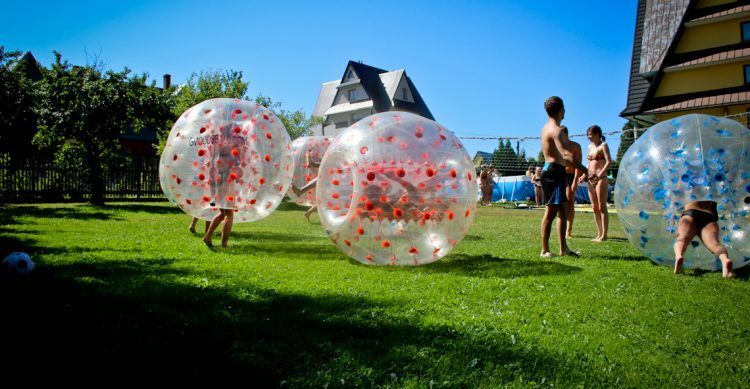 What makes Bumper Ball a great activity for groups of friends, especially if your fitness isn’t what it was. No one feels as if they’re struggling to keep up. It’s all about being on the pitch and having a laugh with your mates.